As reported by the BBC at least seven hundred thousand people every year die from antibiotic-resistant infections. It’s no wonder that scientists across the world are calling antibiotic resistance one of the biggest threats of the century. At the same time the fast-growing trend for vacations in India is causing concern amongst doctors, who are seeing travellers returning home with a higher than average risk of antibiotic-evading infections thanks to exposure to food and water contaminated by faecal matter. Many of these infections are held at bay as long as the bacteria responsible stay safely in the intestines. But if they escape the bowel into the bladder, blood or other vulnerable places, they can cause havoc. 3.77 billion people travelled the world by air in 2016 alone. The microbes that cause nasty and sometimes fatal diseases are travelling with them. One American woman who picked up a Klebsiella pneumoniae infection in India died because every single one of the 26 available antibiotics failed to fight the infection. She isn’t alone. Medics across North America, Europe and Australia have all noticed that people spending time in India are at greater risk, supported by a host of scientific studies that show the destination puts travellers at extra risk of serious infection. 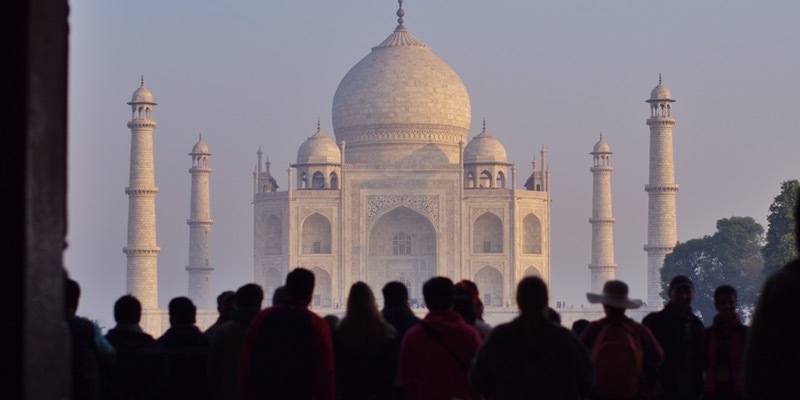 At the same time the trend for India travel sees experts predicting it’ll be the planet’s third most popular holiday destination by the year 2035. India suffers one of the biggest antibiotic-resistant bacteria issues in the world. Drug-defying infections kill more than 58,000 new born children there every year, and a chronic over-use of antimicrobial drugs, exacerbated by poor toilets and dirty water, only makes the situation worse. The Indian government is making an effort to combat the trend. They banned direct public sales of antibiotics three years ago, in March 2014, and the Prime Minister has kicked off an initiative to completely wipe out so-called ‘open defecation’ within five years, a vital element of the nation’s Clean India campaign. Plenty of people play safe on holiday in India, taking antibiotics for simple travellers’ diarrhoea. But doing so boosts your risk of picking up something even nastier because the drug doesn’t just deal with the diarrhoea, it also disturbs your gut flora, letting new and potentially dangerous microbes take hold. Once they’ve made their way to your bowel these resistant super-germs can migrate to cause all sorts of difficult-to-treat infections. Even the most powerful antibiotics, including high powered carbapenem medicines, are starting to fail in India. The one remaining antibiotic that works when carbapenems fail, colistin, is also on the way out as more microbes become resistant to it. A gene called NDM – New Delhi metallo-beta-lactamase – sits at the heart of the concerns over India, named after the city where a Swedish man was hospitalised in 2007 with an infection that resisted all commonly prescribed antibiotics. Now the gene is found across the world, including the USA and Europe, and the signs are not looking good for future antibiotic effectiveness. India may be the tip of a frightening iceberg. Antimicrobial resistance is a growing problem the world over, especially acute in south and south east Asia, China, and much closer to home in southern Europe, including Greece. In Australia experts are recommending that those travelling to India and other at-risk regions should undergo faecal screening before having even the most routine operation, to make sure they’re free from resistant diseases that could affect their post-operative care. If you’re planning to visit India you’ll probably love it. It’s vibrant and colourful, ancient and fascinating, and many say the people are amongst the most welcoming and friendly in the world. At the same time you need to take the greatest care around sanitation, hygiene and cleanliness, following all the recommendations. Here’s a link to advice about how to avoid infections abroad.